Health conscious people are closely aware of the functions of dumbbells. Used for weight training and full-body fitness, these useful gadgets can be used in many kinds of physical exercises as it can easily adjust to your needs. Their effectivity lies in their ability to stabilize the main muscles. Quick-Lock Dumbbell System by Ironmaster is the newest product of adjustable dumbbells available in smaller sizes from 5 to 45 lbs. with patented design that quickly locks in 15 seconds. Like the traditional dumbbells, this new set completes your set of free weight dumbbells. Handle design of Quick-Lock allows you to add or remove plates by a partial turn of the locking screws. An option from 5 to 45 lbs each in increments of 2.5 lb in just seconds. Note that each dumbbell is 45 lbs making a 90 lbs total. Change weights made on any flat surface. Stand is excluded but can be purchased separately. Set includes: 2 handles with 4 lock screws; 12 ea, 5 lbs. plates and 4 ea. In 2.5 lbs. plates. Starting weight is 10 lbs. each that handles weigh 5 lbs. empty with each lock screw weighing 2.5 lbs. On each handle, 35 lbs. of plates can be loaded. Dumbbells can be locked up tight minus rattling or looseness. 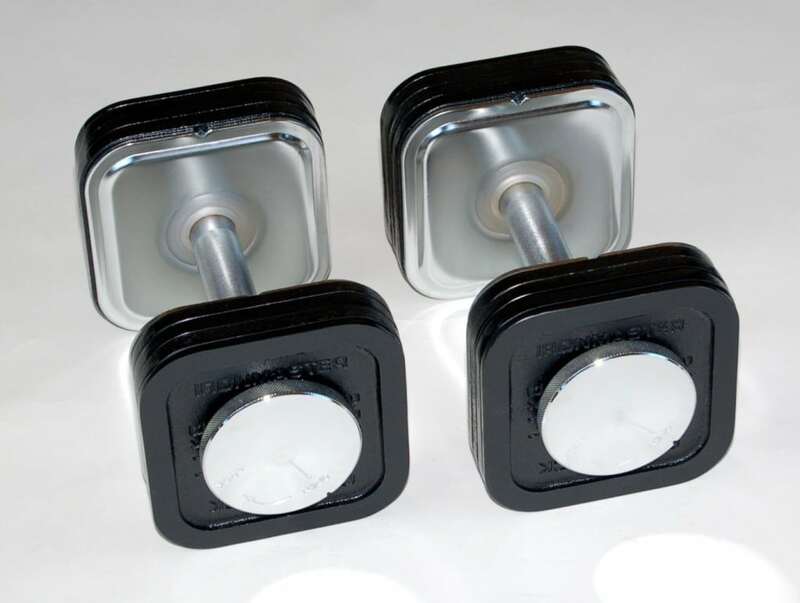 They are just like the traditional fixed weight dumbbells with no restrictions in any way so you can grip them easily. Handles are chrome plated steel featuring diamond knurled grips. Heavy duty and not breakable when dropped. Add-on kits expandable to 75 lbs. each and way up to 120 lbs. per dumbbell. The diameter 1.25 in. for the handle grip and the grip width inside is 6.5 in. For the 75 lbs. set, you can add as much as 45 lbs. You can add up to 30 lbs. 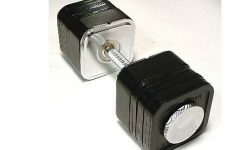 per dumbbell with the standard to include handles and locking screws. You can order up to a dozen 5 lbs. plates as needed. Doing its basic task well, this Dumbbell System is built robust of high quality that is essential for any home fitness product. Since, Ironmaster expects consumers to use this device for a lifetime, they are built to last. The locking screws are fast and strong are easily adjustable. Although the dumbbell weights from 45 to 75 lbs. they are comfortable to load. If your purpose in buying a dumbbell is primarily for body building and stand-alone exercise, this system is a good buy as the set is durable and can be configured to become heavier. It is backed by a warranty for a lifetime, which is far better than others that gives only two years. 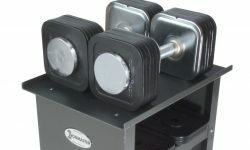 The Ironmaster 45 lb Quick-Lock Adjustable Dumbbell System is a value product for your money and a great boon for weight lifters at home who do not have enough funds to invest in a full set.